IFS, the global enterprise applications company, announces that UniTTEC Co., Ltd, China's leading supplier of integrated solutions for rail transit, energy saving, and environmental protection has decided to implement IFS Applications™. The solution will be implemented and supported by Beijing GuoZhiYunDing Software (GuoZhiYunDing), a member of the IFS Partner Network. 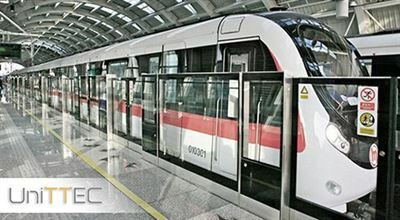 As a core member of Zhejiang Zheda Insigma Group Co., Ltd., which is known as a leading high-tech service group in China, UniTTEC (stock code: 000925) primarily focuses on safety and intelligent control of the rail transit sector. The company provides integrated signal systems for urban metro systems, tramcars, intercity lines, and heavy-haul railways. Its solutions have been implemented in more than 15 cities across China, with the main line spanning more than 800 kilometers. The company’s rapid growth and evolving business scope as a provider and operator of energy saving and environmental protection solutions as well as a manufacturer of monocrystalline silicon materials, has greatly increased the complexity of its projects, bringing new challenges in cost, budget, assets and other aspects of management. To ensure transparency and control throughout its value chain, UniTTEC needed to replace its legacy business system, which could no longer fulfill the company’s requirements. Following a rigorous evaluation process involving several leading ERP vendors, UniTTEC chose IFS Applications as its next-generation management platform. IFS Applications will support UniTTEC’s development through advanced and integrated capabilities for project management, project budgeting and forecasting, project reporting, project delivery, risk management, document management, HR, fixed assets, inventory, purchasing, costing, material planning, and customer orders. Beijing GuoZhiYunDing Software Co., Ltd. is committed to providing comprehensive design and technology (DT) and cloud computing services for traditional industries, with 40% of its share invested by Beiming Software 38% by SDIC Intelligent Technology and 22% by Beijing HaoTianYunJing Technology. Beiming Software, which ranked top 50 of China's software business revenue in 2017 , has full fledged IT qualifications and a mature management team with more than 20 years of marketing experience. Moreover, the technical team based on Beiming Software has more than 15 years of experience in industry development and implementation, with technical backbone mainly composed of relevant industry experts having profound knowledge of helping traditional industries realize digital transformation.